My recent blog post on the introduction of ‘name-blind’ recruitment across the Civil Service attracted considerable interest and comment. Thank you to everyone who took the time to share their views and join this important debate. This reflects the seriousness with which civil servants take the whole question of fairness and diversity in the Civil Service, and the strong opinions it can arouse. This strength of feeling echoes my own passionate commitment to greater diversity and inclusion. On the whole, you welcomed the name-blind initiative and the intentions behind it. However, your comments reflected a clear need for more information about what it will mean in practice and its place in the bigger recruitment and diversity and inclusion picture. As some of you rightly pointed out, elements of name-blind recruitment are already in use in parts of the Civil Service. My aim is to ensure that it is rolled out consistently, so it becomes the default. I want the Civil Service to become ‘inclusive by instinct’ in everything it does. When will name-blind recruitment be introduced across the Civil Service? We are introducing name-blind recruitment immediately. Civil Service Workforce Reform and the Diversity and Inclusion team sent a joint letter to this effect to all HR directors on 26 November. We have also issued draft guidance. Does it apply to all appointments or just to external recruitment? Departments are now expected to use name-blind recruitment for all externally advertised roles below the Senior Civil Service, unless there’s a strong business case not to. This might be for reasons of national security or when candidates have been actively sought out through an external search firm. It will also be considered good practice to use name-blind recruitment for advertised posts for internal promotion or lateral moves. What personal information will be covered by name-blind recruitment? This information will only be made available about candidates who pass the sift. The Fast Stream and Fast Track Apprenticeship schemes already use this principle. Name-blind recruitment limits the impact that unconscious bias may have on sifting by removing information that has nothing to do with past success or experiences, such as one’s name, nationality or area of residence. However, it’s important to stress that it will not deliver a more diverse workforce on its own. It is one of a range of measures that spans recruitment and selection, talent and progression and creating an inclusive culture. For further information on these, please contact the Civil Service Diversity and Inclusion Team (inclusion@cabinetoffice.gov.uk). Some of you suggested that the Civil Service Competency Framework doesn’t give enough weight to experience, inadvertently favouring those who, as one comment put it, “talk the talk”. If you have read my blog on T-shaped civil servants, you will know I am clear that I want to see depth of skills balanced by breadth of experience. Research has shown that focusing on competencies is a fair and transparent way to recruit and promote.The competencies framework provides a consistent benchmark against which we can draw out whether an individual is right for a particular role, based on both skills and experience. That said, we will be placing a greater emphasis in interviews on drawing out more about candidates’ personality and character, their capabilities and their practical experience,. We shall, of course, be monitoring the effectiveness of these measures, and welcome your comments on name-blind recruitment as it becomes embedded. Can I now look forward to your next blog in answer to the close on 200 staff, who commented on you blog you jointly wrote entitled "The Spending Review and what it means for the Civil Service"??? Don't be daft John - that would imply a degree of sympathy/empathy with staff. Why have actions when we can just have pointless words? Hi Jon. I am an ex-Civil Servant who has been trying to get back in for quite some time now, but have failed repeatedly due to these annoying competency-based questions. The problem I am having is getting them absolutely spot on. I do EVERYTHING that the recruiter requires (e.g. describing what I did, not what my colleagues did etc.). Yet I always seem to miss out just by one mark or two. It is very frustrating. I wish the Civil Service would scrap these competency based interviews - which, I agree, DO favour those who can "talk the talk" - and go back to a more experience-based form of sifting. My fiance is having the same problem, keeps coming "first reserve" all the time, and being told he is suitable and not to give up persuing a career in the Civil Service as his feedback. I do feel going back to batch recruitment would really help him get in as he has been trying for so long and it's really broken him down when it keeps being a no. Experience is an interesting starting point but the quality that we need to be unearthing is the self-awareness that someone has of how their experience will benefit the department or agency that want to work for. Simply because someone has done something for the last 20 years doesn’t mean that they have done it well or more importantly they have the ability to improve and adapt. The principle of competency based recruitment is fine it’s the process that needs working on, the main area to improve is the interviewer’s ability to draw out the examples that they need. After that breadth of experience/competency should simply become apparent in the scoring. Following on from my comment about the annoying competency based system of recruiting, I have just had yet ANOTHER soul-destroying rejection. This time, it was for an AO job I applied for in Liverpool. The frustrating thing was even though I scored 4 (Acceptable), I was still rejected. When I queried this, I was told that due to the high number of applicants, they had to raise the benchmark to a 5 or 6, meaning that I just missed out being offered an interview. As my bitter experience clearly bears out, the competency system is seriously flawed when a person gets a 4 (Acceptable), yet doesn't even get invited for an interview. Hi Jon name blind recruitment is a step in the right direction, but who interviews who, also needs addressing. Ideally there should be totally independent interviewers who have no links to any of the interviewees. Too many times in my experience people have been interviewed by people within their management chain or managers from the same team. The interviewers also need to have the skills to conduct a competent interview.Then there would be a fairer and level playing field. I agree with the issues around competency based questions being for those who can "talk the talk" and in my experience it becomes glaringly obvious time and time again who has learnt what to say and who has the practical experience and knowledge to back things up. I also agree with what Amanda has to say. There is a strong case for independent interviewers as it can be easy to identify a person is based only on their competency examples! Personally I would like to see more trial periods in role. I have watched many excellent people leave the Civil Service due to frustration with the promotion system, yet it was clear that, given half a chance they would have excelled in senior positions. Admittedly it may create a bit more upheaval, but i believe this would pay dividends in the longer term. I agree. I am leaving my position next week. I have been on Band E for 8 years. Even though, I have trained the Band D's C's and sometimes the Band B on our internal systems. I have seen staff reduced to tears out of frustration because their Line Manager has openly humiliated the staff member in a TIB in front of others and also their bias towards another member of staff. I think name blind recruitment is the way forward as we constantly hear about open and fair practise, this only seems to apply when it suits. Also interviews as someone who has previously commented should be done with at least one independent person on the panel who should be the chairperson and with no one from the persons line management chain. One thing that does favour blind recruitment is that a person can't be sifted out becuase of who they are as the panel may have dismiss the idea of someone getting a job on reputation. I totally agree with name blind recruitment. One thing I am confused about is that if you leave all of that information as stated above off your application, how will they know how to contact you with your brilliant job offer? Is it done via blog or secret codes? Totally confused. Fair enough, you shouldn't interview people in your management chain but an independant interviewer wouldn't be realistic. If i'm interviewing for a role I also evaluate how they would fit into the team and work with colleagues. The blind sift such a brilliant idea, interviewing for the right reasons. That sounds like "we only want a certain kind of person, who will "fit in" with those who already work on the team" - a self perpetuating process, and the very reason the interviewing should be removed from the recruiting department. Unbelievable. I can point to numerous research that shows the opposite. However you got to meet, in general terms, 6 tests in a competent recruitment process. 1. What are we actually measuring in the recruitment process? 2. Are we measuring the right things? Assuming 1 and 2 are correct, the real problems then start. 3. Are our methods strong enough to properly measure? 4. Can we then draw valid conclusions from our measurements? 5. Is there sufficient verification of the process? 6. Do we actually check/review the outcome and the process. I would seriously question points 3 and 4 from my considerable experience. I think 5 and 6 rarely happen. Blind recruitment is a tiny positive step. But for the best outcomes there needs to be a lot more added to mix. Hi Jon: I 100% agree with Amanda Frankland. Independent interviewers who are suitably trained are the key to a fairer recruitment policy instead of the current selection procedures where the best candiadates are often overlooked in favour of the "Facebook Friends & Cliques" syndrome. At a recent EO progression interview I asked the question about blind interviews unfortunately none of the panel members had heard of blind interviewing. If as you say you wish to look fully at inclusion then you must remove all the perceived barriers. Alan's comments are true. I have 28 years supervisory, operational management and project management experience yet the competency framework expects me to look only at the last two years. As a mildly disabled employee I have not had the same opportunities as none disabled employees which made applying for the post very difficult. The framework whilst successful at weeding doesn't identify the talent that the business is looking for. The business needs to look at a combination of everything. Richard Branson said in a blog in Linkdin the best candidate's personality and drive make the best employee. Anyone can be trained. That comment is so true. From my perspective I think Blind Recruitment is the way forward as it will remove many barriers. I also agree with Amanda. I note with interest that one thing that will still be available at the sifting stage is the school/college/university attended. Until that is removed, there remains an opportunity to discriminate unfairly in the recruitment process. I welcome the comments about looking to widen the interview approach. Having had some bad interview experiences, I have recently had a very good one. The panel had my written application in front of them and knew the content. They then asked me to expand on the examples, allowing me to input more than the word count had originally allowed. After this they asked for a quick second example to demonstrate that I had further experience in this area, but did not ask that I recite another full example having to hit every point on the framework. I feel that this is the correct way to conduct a competency interview; it adheres to the competency framework, but allows for the candidate to demonstrate that they have the actual skill required, rather than just the ability to reel off key words. Experience should always be taken into account, but time spent in a role does not necessarily mean that a person is best for a job. Hi. Thank you for the advice on my competency-scoring problem. I appreciate what you said and, of course, will take it all on board. The most frustrating thing about some competency-based interviews that I have attended is that, whilst giving your answers to the panel, you think that you have given everything that they asked for. As far as you could see, you went into full detail about what YOU did (not what your colleagues did), why YOU did it etc. etc. Yet when you get the rejection letter a few weeks later, you are naturally very disappointed, and the first question that registers in your mind is: What more did they want? I know I share the sentiments of many other job applicants who despise these competency-based interviews when I say that it is about time they were scrapped, and that departments went back to the old methods of recruiting (which, given the huge amount of applicantions these vacancies attract now, is something that, I fear, we will never see again). The worse sifting procedures are the ones where you have to write up to 250 word essays on each competency question. Given so many barriers, it is small wonder why so many applicants now are becoming so angry and frustrated when trying to land a Civil Service job! I have had yet ANOTHER miserable, depressing rejection due to this ACCURSED competency based system. I applied for an AO job in Liverpool, and even though I did score a 4 (Acceptable), I was still rejected for interview. When I queried this, they said it was because other applicants scored a 5 or 6. Ridiculous. I scored an Acceptable and couldn't even get an interview. This whole competency system is seriously flawed, and needs scrapping - NOW. This is definitely a welcome change but it doesn't address the issue of how a "problem" appeared in the first place. If people are being discriminated against because of their name, age, ethnicity etc....what is being done to weed out those who are doing the discriminating?! I agree completely with those saying competency based applications favours those who can talk the talk. There was a recent progression exercise where myself and a couple of others I know were front runners for a promotion but didn't pass the sift when people who haven't done as much, not only got through the sift, but were also successful at interview. Whilst blind recruitment is a step in the right direction it doesn't fix the whole process which needs looking at in depth. "Research has shown that focusing on competencies is a fair and transparent way to recruit and promote." - Sources and citations? "The competencies framework provides a consistent benchmark" - I couldn't disagree more. I think given that it has all but been admitted by sifters that they mark people based on the role description and how the competence statement has been tailored to suit it. Therefore it is not a consistent benchmark that is being applied across the bard and use as the singular reference when scoring statements. I totally agree with you, Mike Much more DOES need to be done in order to improve the recruitment process, especially with regard to those competency questions which require that you write up to 250 word essays for each question! Loads of people now write their core comp answers and get several people to amend the words - this is not testing the individual as it turned into a team exercise. Also you are seen as a mug if you sit the promotion exam by yourself! Does anyone ever check that the core comp answers are even real events? Well said, Anthony! Competency based interviews are a curse. And the competency based questions that require you to write up to 250 words for each answer are an even BIGGER curse! John, I'm not clear how "consecutive interviewing (where each panel member interviews the candidate separately rather than collectively as a panel)" will help. Won't it be more stressful for the interviewee as they will have insufficient time to build rapport and have to repeat scene setting statements. Also, there will be no opportunity for fellow interviewers to ensure fair play or to moderate different interpretations of evidence and performance. Individual interviews seems to be moving away from the notion of fair play, not getting closer. I agree with Amanda, that independent external interviewers (not necessarily external to the civil service, I am not saying contract it out!) would make a big difference. Too often we hear that the advertising line manager must be on the panel "because it is important that they can work with the successful candidate" - which can mean all sorts of things. Jon - why is it important to know the name, age, email address, nationality, etc, in a sift for a SCS post? I don't think this takes the competency question seriously enough. From my experience most so-called competency based interviews and selection processes only in fact test one competence, which is to be able to talk through a process at great length in order to cover enough of the list mentioned in the competence guides. And I speak as both a recuiter and applicant. I think some weight needs to be given both to the breadth of experience, and also the approach that would be taken to the next job. Within my Department some staff have received training in writing competency examples for job applications, whilst many of us haven't, which obviously puts us at a disadvantage. Too often the Civil Service introduce new processes and systems without providing proper training to staff in using them, this benefits those with the right contacts in senior management who can coach them and the spare time to research how to use the system to their advantage. If Interviewers are from the same Directorate and same location still potential of bias (both positive and negative) via information disclosed on the CV element of the Civil Service form. Sounds like the Civil Service is finally moving in the right direction with regard to tackling the lack of diversity. Credit where credit's due. What's interesting is I've seen studies in which computer algorithms are accused of being biased, as the results were eerily similar to when humans do it. This is because certain backgrounds have more opportunities to gain skills valued by the algorithm/human. For example, I was given some amazing opportunities at my school, opportunities lacking in state schools. As a result, I am far more likely to be hired over individuals without access to these opportunities. Not because I’m a woman. As poorer backgrounds tend to have reduced opportunities, the algorithm tends to excludes them. In addition, this looks a lot like unconscious bias because many lower income families happen to share particular 'protected characteristics' that this system is trying to hire. The result? People from lower income backgrounds NEED conscious bias – not the removal of it! This goes against the principle of Freedom of Opportunity for all as it concentrates on Equality of Outcome and quotas. This is a class war, not a gender or ethnic one. And solving it has to start within the educational system. I agree with Gemma about the real problem being lack of equality of opportunity and the stats seem to indicate that routes up the class ladder are getting fewer, more slippery and those higher up are more interested in maintaining or improving their own position than helping others below them to climb. Which is to be expected. Name blindness won't help if talented individuals from poor backgrounds can't access good education, services and opportunities and are also judged by what school or university they went to. This tends to, in reality, mean that those who progress are those whose family could afford to send them to private school and then university. The SCS and higher echelons of BBC etc are nearly all Oxbridge and mostly from private (fee paying) schools. That seems to me to indicate something other than those are all the most talented people. Agree with Amanda here the interviewers in my opinion should always be independent and certainly shouldn't know some or all of the interviewees well as this inevitably leads to bias and favouritism and it is not a fair process. This is definitely something that needs addressing in order to always ensure the fairness of the process. The competency-based approach does indeed favour those who "talk the talk" and there's no evidence that the BS they spout is ever checked. One of my managers moved from another branch of government and had so many fantastic competencies at the interview that the job was theirs. Asking this manager's ex-colleagues exposed it as a pack of lies. Too late though. The Civil Service is packed with managers who obtained promoted via this useless method. When I see which colleagues obtain promotion I die inside as many are lazy ignorant and incompetent. As the OP stated, Mr Manzoni has not responded properly. Absolutely agree. Too many managers ? Who are managing real people do not have the people skills to perform the role of manager, oh but they had competencies based on situations which were never checked or tested at an interview stage. Result is the wrong people in the wrong jobs - nothing to do with diversity. John favouring those who can “talk the talk” is not the only failing, there’s no sense check as no line manager endorsement, it’s possible to “borrow” others work. Not every one is given the opportunities to gain evidence. With no excess fares candidates can be worse off taking promotion we mayn’t get the best people. Is it not time to consider a civil service qualification? My husband is a recruitment consultant and can categorically state that he would not touch purely competency based recruitment with a barge pole! When I speak with someone who got a job or promotion through a competency based interview, it often seems as if the examples they gave had very little to do with their personal experience and accomplishments, and were rather examples of excellent salesmanship and creative storytelling. Actual work-related skills (aside from the communication ability) are hardly being tested during these interviews. Meanwhile, during a recent interview in HMRC I attended, which was supposed to be open in terms of questions, after a brief exchange the examiners stated that based on the questions they were meant to ask they would not have been able to assess the relevant competencies, and instead asked some of the standard STAR-type questions. Needless to say, not having prepared sufficiently impressive examples beforehand, I did not fare well. I agree with Amanda Frankland comment. I whole heartedly endorse name blind recruitment. In my experience canditates fail the first hurdle of the sift as they are being assessed by people who may know them personally. Interviews and sifts should be conducted by staff working in Human Resources. These staff ideally should be trained adequately and will provide consistency in markings and sifting applications. They will ensure arbitrary independant assessment. To further improve assessment and reduce bias I welcome the innovation of a more inclusive and diverse panel. Name blind recruitment - like in an administrative slip up from Yes Minister - could end up recruiting the wrong person for the wrong job. It is easier to remember a candidate's/interviewee's name than number. It is not like blinding in clinical trials. You are never going to remove the potential for human bias, particularly for or against internal candidates. It does not seem unfair to use the extra information known about internal candidates to decide on their competence. The fact that it doesn't seem unfair only really highlights the issue. How much "extra information" do you know about someone that you go for drink with regularly? or you play cricket with? or spend a weekend at the lodge with? Seems fair to me! Exactly. Or how long are you going to hold against someone, some minor error of judgement or embarassing situation a candidate may have been involved in years ago and may very well have learned from? I was given a chance a few years ago to offer TARA to a member of my team; I knew one team member had performed the additional duties well in the past but I thought it was fair to offer a development opportunity to someone else. Instead I was forced to recommend the person who had already had the opportunity, senior management's favourite, because of some embarassment surrounding the person I had picked (and viewed as having potential) many years before. I'm really glad to see this prioritised. As a woman working in a male dominated area, it's a topic close to my heart. We don't only need to make sure our sifting and interviewing are fair but also that our advertising and requirements don't unnecessarily discourage or exclude good candidates. Name blind recruitment treats everyone equally. I thought we had long moved away from the idea that treating everyone equally is the same as offering people equality of opportunity - because it isn't. How can we value diversity if we are blind to it? How can we appreciate that people have different starting points and may not be afforded the same opportunities? How can we take a bit more time to promote non-traditional candidates and ensure a diverse shortlist if we cannot see? Senior Civil Servants talk about diversity but have a long way to go before they truly understand what this means. One example is all the Talent Schemes which look like a good idea - but talented individuals with young families don't join schemes which require additional time and energy, training courses, overnight stays and placements which can't accommodate childcare. You talk about wanting more female leaders but I, for one, won't fail as a mother in order to achieve it, and no-one will appreciate how hard I have struggled as a working class, Asian female in a male, middle class, white environment if they can't see that when I apply for posts. This is a move backwards for a good soundbite and not substantiated by the evidence of blind Civil Service recruitment carried out to date. Earlier this year, I applied for promotion into a very technical role, in which I have many years experience in my current grade and have always been regarded as very competent. Where I am based, I have always been the 'go to' person if any of my colleagues - or managers - wished to raise an issue or required assistance (I apologise if the make me sound big headed, I don't wish to give that impression). I have always enjoyed this role and that I feel 'in control' of what I do on a daily basis, with very good outcomes. However, I was not selected for promotion and received somewhat vague feedback, as to the reasons for this. I was, and remain, totally unconvinced by this feedback. It was simply that my face 'didn't fit' and that my competencies 'could have been stronger' (even though, as some have commented above, these were put together with the help of my manager at that time, who said he had 'every confidence' in my chances of promotion and ability to work at a higher grade). What made this event even harder to accept was that one of my colleagues who did achieve the promotion, did so based on her competency responses - even though her experience was severely lacking compared to mine. The final insult was that I then had to train this 'new' manager in the technical aspects of 'her' new role and even to this day, 9 months later, she is still asking for my assistance (help) and I am still picking up errors in the cases she has completed - which I was able to identify straight away. But, heyho - her competency responses were 'excellent' as I've been told.....This has left me feeling very demoralised and I don't think I can face this process again - and that is a loss to me AND my department. The chairman of a competence-based recruitment panel in my Department told me that the system and procedure of questioning allowed him to exercise his discretion in order to mark-down and thereby exclude candidates who he believed were for any reason not suitable although the "normal" operation of the assessment and evaluation suggested that they were suitable. He was pleased to say that he, for one, put this into practice. I'm not quite sure whether this is good or bad! How can I get involved with the 'Removing Barriers' Programme? What about PMR validation meetings. These should be name blind too. The bias that goes on here is unbelievable and the so called fair managers there are getting away with it! Is there any particular reason why we are not enforcing name blind recruitment for internal posts and lateral moves? To say 'it will also be considered good practice to use name-blind recruitment for advertised posts for internal promotion or lateral moves' is the same as saying we will let you in based on merit but once you are in unconscious bias will potentially discredit any future development. By removing one small obstacle and yet leaving a massive barrier in internal recruitment would be in my eyes retrogressive. Surely, internally or externally, one should be recruited on the basis of meritocracy taking into account ones skills and expertise, and not based on who they know and they know certain people. There is a prevalent culture of nepotism that has and is still widespread in recruitment within the Service that can only be tackled by enforcing measures that are whole and not small measures to make it look like upper echelons do really care about the people they lead. There is already concern regarding the composition of management and above. Will not enforcing name blind recruitment just increase the disparity between the lower grades in the Service and the more substantive higher grades? The problem is that the Civil Service is in danger of losing talent and failing to meet its diversity obligations right now. For example, HMRC's recent recruitment of 450 Tax Professionals prevented serving civil servants who competed successfully through merit, fair and open competition from being selected on level transfer. How exactly does that ensure the best talent and how does it ensure truly "open" competition? From anecdotal evidence on online forums, candidates in the recruitment exercise seem also not to have been tested in the same way - some being asked to give pre-pared examples of competencies while others were presented with hypothetical scenarios. These seem to test different criteria and are furthermore susceptible to potential bias from interviewers experience of candidates with different levels of experience. The use of two quite distinct methods of assessing candidates cannot be described as "fair" if each group's "scores" were simply concatenated into a single hierarchy for purposes of selection. The reasoning behind this method of interviewing would need some careful explanation to avoid complaints to the Commission of potential breach of the Recruitment Principles. 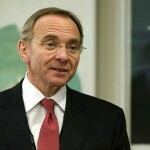 John Manzoni's comments as to what needs to be improved are welcome but miss the basic and most obvious changes to the recruitment process which could be addressed and implemented right now. Name blind recruitment is a good idea for the initial sift. However, when the applicant gets to interview, the bias can start there. I feel that the interviewers should come from different regions reducing the risk of bias due to previous association! Ideas like "name-blind" recruitment are symbolic of the culture causing the civil service to be cut back. Surely what we need to do is to focus the recruitmernt effort on is getting people who can do what needs to be done. Otherwise we will be replaced by the private sector and their "zero hours" culture. Unfortunately, name-blind recruitment doesn't really address the basic inadequacies of our current appointments system, which is biased so heavily in favour of those who can write a good application and say the right things at interview. The panels no longer have any corroborative evidence to support any of this. In the past, panels considering internal applicants would have had the last three years' annual reports as back-up, together with a recommendation from the candidate's line manager (the present 'presumption' that candidates will have discussed their application with their line manager hardly counts). As a result, we continue to appoint people to posts who are wholly unsuitable, while sidelining those who would be really good at the job but not so good at talking themselves up - a sad waste and resources. Having the last 3 year reports and manager recommendations could actually place internal candidates at a disadvantage to external candidates - obviously panels would not have this info for external recruits. The performance appraisal system, has have been heavily criticised for the disproportionately high numbers of disabled and other groups filling the "worst performer" category. So if there are serious questions as to the veracity of performance appraisals it would simply invite further negative bias if these were used in any way in recruitment exercises. The solution seems perfectly straight forward - the whole process should be blind - panels should not know anything about the candidate's history or whether they are internal/external and all candidates should be assessed using a mix of questions allowing experience and potential to be identified. Obviously some things will be visible, such as if a candidate needs a reasonable for the interview - but panels need to have the skills to ensure no unconscious bias arising from knowledge of disability. I have heard of some candidates having friendly chats with interviewers while waiting to be interviewed - while other candidates go in cold - this clearly raises concerns of potential bias and undermines the whole process. and aims of improving the system to ensure only merit is considered in a fair and open competition. Not entirely sure how blind recruitment would work for internal vacancies, especially if someone is applying for a post in the same area / department that they currently work in. I would imagine that the information provided under the competency headings on the application form would make it fairly easy to identify where an individual works and therefore who they are. I also agree that the competency based approach favours those who "talk the talk" and "spin a good yarn". - Interviewers should always be from a different region/area of business. That would be getting closer to a blind recruitment process for internal staff. I recently applied for a civilianised post (previous military). I joined the team, quickly engaging with every aspect of the job for 9 months (whilst covering an additional E1 post). Unfortunately I did not "talk the talk" at the interview and now will have a new line manager in the new year (2.5 years experience compared to my 16 years). I have difficulty believing the person selected has greater experience and relevant knowledge than myself (be interested in their qualifications too) and has created a working situation where I have lost a proper leader for an individual only skilled in interview process and competence knowledge. The recent, earlier exclusion of ‘white’ males from Band 5 promotional opportunities and now again in the Cross-Civil service Positive Action Pathway (bands 3 + 4) posts are both examples of civil service perpetuation of discriminatory ideology, practice and policy on the one hand, and on the other by implication, that there exists a disadvantaged group of people who are somehow ‘different’ from the rest of the civil service and therefore need ‘extra help’. These distinctions should not even arise; there should be a ‘one stop shop’ for everyone; any job in the civil service should be open to anyone with the skills, experience, and knowledge to apply. Your name-blind recruitment proposals do not go far enough, civil service application forms or procedures should no longer ask questions about ‘personal’ attributes such as colour, age, disability or sexual orientation and so on, these questions should be removed entirely from application forms. A fair job or promotion application system is one in which applicants ‘personal’ attributes are not declared and therefore ‘singled out’ as being in a ‘minority’ or ‘disadvantaged’ group in the first place....why is there any need to place certain people or employees in groups (e.g. race, gender etc) if you are an employer claiming to be operating a fair system? is acceptable and so on. But no discrimination should be acceptable in any form, and where unfairness exists then the system is at fault and changes should be implemented to remove the procedures (or people) causing it. The interview process should be carried out by persons independent of the applicant or their immediate management to avoid ‘favouritism’ or the opposite happening. The ‘goal’ should be the elimination of discrimination of any sort, it should not exist in any form, anywhere in the civil service today – but clearly it still does! The civil service needs to become a ‘one culture’ organisation, not a ‘fragmented culture’ like the above examples show it clearly still is. 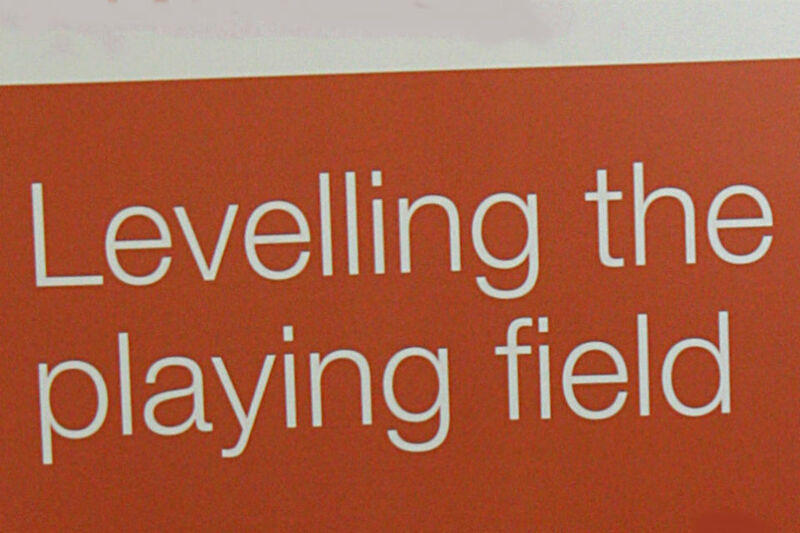 I rather think that the ‘level playing field‘ will have a few bumps in it yet still, for some time to come! I don't agree that all personal information should be removed from the application process. Data such as age, gender, disability, marital status, ethnicity etc is declared on a separate form and is required to ensure lawful operation of the recruitment process. The very fact some protected groups working in the Civil Service have disproportionately high numbers consigned to the lowest ranks of our PMR,with little hope of advancement, must alert everyone to the possibility that something is very wrong in how our management processes impact on those of our colleagues - and once they leave or are otherwise eradicated from the workforce, who's next to fill the bottom ranks? There is a massive problem with the extent to which individual managers can influence careers of staff for better or worse. Why should any manager be in a position to deny an individual's aspirations through endorsement of applications - and worse, through informal telephone chats with CS Resourcing or Vacancy Holders? The problem with the current approach is that it totally mitigates against fresh talent as it is a well established fact (of human nature and business psychology) that managers will support and promote those most like themselves. I have witnessed numerous occasions when managers have coached and mentored their "favourites" to meet the key phrases needed for "competency" based progression, while others equally if not more capable, are left to flounder. That is only the tip of the ice berg and much more could (and maybe should) be revealed as to how recruitment is manipulated to promote the chosen few at the expense of the best talent. From reading the many comments, almost all of them support 'name blind' recruitment but also more importantly, point out far wider and more entrenched problems in recruitment. John, surely you get the message? Everyone wants the best person to be selected for the job, but there are so many existing problems that don't ever seem to be looked at, nor even acknowledged, by people such as yourself who can actually do something about it all. Why don't you at least list the main ideas from here, think about them and maybe respond in due course? Thank you. I recently applied for EO job role in Manchester, I passed the sift at a level 6 application form, I did not receive any support from my line manager before my interview, other staff members did by a different line manager in my office, they were successful in their interview, I missed by 1 point, (I received markings 6,5,5 and 3) for my interview, I am at present on the Positive Action Pathways programme, I feel very let down for the support I have not received, I did not have a mentor through the programme at the time, so I felt very isolated in going forward, I feel very passionate about the 2020 vision and the way forward with the civil service,as I attended the Civil Service Live Manchester and listened to Noel Shanranghan, which inspired me to take a look at my own development, I feel that more needs to be implemented at a lower level for promotion/career development within the Civil Service and with diversity. I have recently been sifted out of 2 roles............the first time I received a 5 for my compentancy, however the same one on my second different application received only a 3. So its a puzzle, the people marking are often very inexperienced and yes in my workplace I have heard HO's say, oh yes just mark them down!! the face really does fit. How refreshing John, an article I have just read published on Civil Service World states you have acknowledged that Competency based irecruitment is potentially flawed and future leaders who share the 2020 vision are possibly being sifted out in the early stages, or aren't geared to the answer the questions in a certain format at interview. I have recently failed my first HEO panel, I didn't have any assistance with my application and I didn't receive any coaching, those that did miraculously passed and are now substantive H's. I have enormous support from staff who all felt I was a sure bet as they view me as a leader and a visionary but clearly their views don't count. I'm all for moving forward, let's just interview cold, make us think on our feet then you'll sort the wheat from the chaff. Let's reform and you'll get the best, not those who play a game. Care to provide a link to this 'research'. Some of us might beg to differ. Competency based interviewing undoubtedly favours those who 'talk the talk' and as a result many loyal, hardworking and capable staff have been denied the career progression they deserve. I recently applied for an EO position as an external candidate in Nottingham. Whilst waiting for my interview I was shocked to see one of the interviewing panel have a word with another candidate stating "remember the keywords to use in the interview and you will have no problems". I later found out that the interviewer was her manager and I knew from that point I was at a huge disadvantage. Therefore I totally agree that the interviewing panel should be independent or from another area. The Competency Framework has it's pros and cons but absolutely fails if a question on a specific competency is broken down to one specific indicator. This was the case with my interview and I believe I got penalized for having a perceived weak answer for only a small area of an entire competency. I am also shocked that the interviewing panel, comprising of 2, with each alternating between asking a question and the other scribbling as many notes as possible can be seen as a good idea. Having received my feedback I was amazed to see a comment regarding something I should have mentioned knowing all too well that I actually mentioned it at least twice during the answer! I do not see how removing a candidate's age from the application helps counter age discrimination. When setting out my employment history I am acutely aware that since it goes back to 1974 it indicates that I am an older candidate. Disgusting the way these accursed competency interviews are proving a BIG barrier to candidates seeking a Civil Service job. I have said it time and time again, the competency based system should be scrapped. It is about time this competency based interview method was scrapped.